Family vacations can be a struggle. For my extended family, for example, we have a variety of ages, from newborn babies to late 80s. We have males that love to fish and be outdoors and kids who want to run and be wild. So last summer when we all decided to get together (more than 30 people spanning 4 generations! ), we did a bit of research to find a spot that would allow us all some space but still accommodate lots of family togetherness. Hotels were out because there wasn’t really a common area for us all to hang out in. All-inclusive resorts were simply too far above budget. We crossed amusement parks off the list for this type of family gathering. So when someone suggested Jellystone Parks, we were blown away. With locations all over the country and accommodations for groups of all sizes, Jellystone was most certainly the place for us. There are 85 Jellystone locations across the US and Canada, meaning it would be hard to not find a Jellystone within a few hours’ drive of your home. We actually live less than 30 miles from the Jellystone Park in Burleson, TX, and have been several times to the on-site arcade and waterpark. The kids love it! This past summer, however, we chose to travel to the location in Cherokee, NC, for a large family reunion. Jellystone offers camping options for everyone. 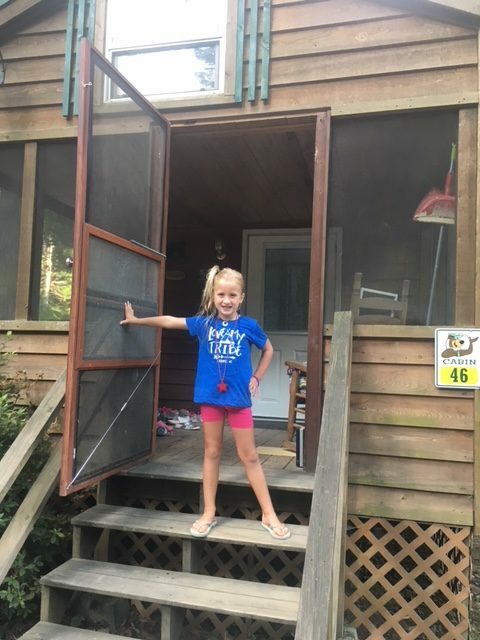 We chose to rent onsite cabins that came fully-equipped with kitchens and bathrooms and slept eight people comfortably! Outside our cabins were plenty of picnic tables and fire pits for us to gather around in the evening and enjoy a meal together as a family with more than 30 members! However, we also saw plenty of people who pitched tents onsite and many more who pulled up in RVs ready to stay at the campground a few days. We loved that Jellystone provided so many options! 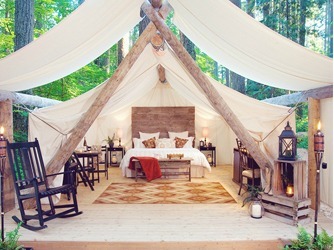 Camping with amenities is the best way to camp! We chose to rent cabins all in a row near the kids’ play area. It was such a phenomenal fit for our family. Each family had its own space to spread out and take over. Our cabins were right in front of the kid’s play area. That meant we could let our kids, ages 8, 6 and 4, run over without much worry. We were also right by the arts and crafts and community room. The park hosted all kinds of activities for kids, from pie-eating contests to karaoke nights, there. My 4-year-old received an honorable mention in the pie-eating contest and was so proud! This location had a great pool for kids in the middle of the campground, complete with a water play area. The pool was plenty big for lots of families with seating all around. This location also had a GaGa Ball court (I still don’t know how to play this game, but my kids loved it! ), a tether ball game and a ping pong table. 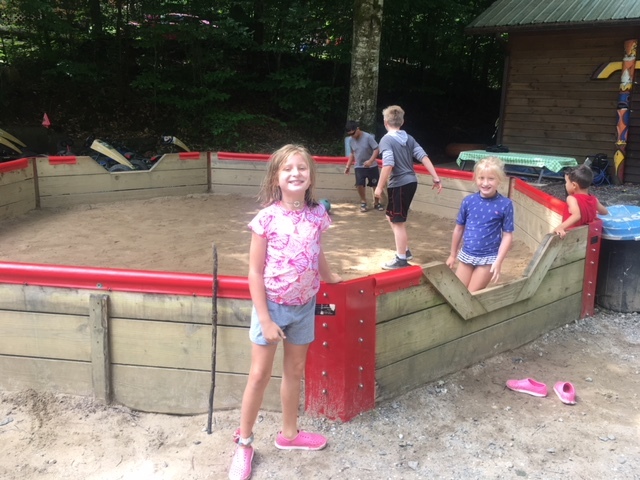 We vacationed there over the Fourth of July weekend, and the campground featured several themed activities for kids to help them celebrate the season! 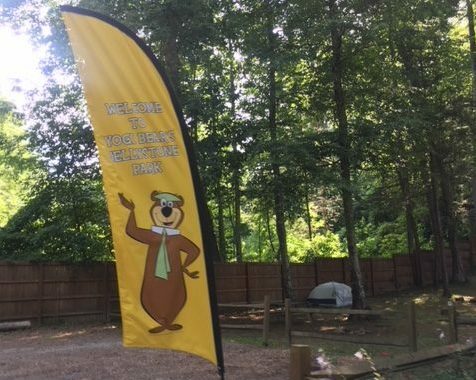 Onsite the campground also offers a laundry facility and a small gift shop. Each park offers different amenities depending upon location. My girls talk about their week at Jellystone regularly. Once friends find out I’ve been to a Jellystone, they ask a barrage of questions about whether or not I would recommend vacationing there. My answer is an enthusiastic yes! Personally, I dislike tent camping, but Jellystone offered a happy alternative to spending time in nature while still allowing me to spend time outdoors. People often say Jellystone lets kids be kids, and I found this to be true. Jellystone is a place where you can let kids ride bikes and play ball and roam without too much worry. I let my kids go to the GaGa Ball and tether ball area unsupervised, which stretched my comfort level! We saw lots of groups of older kids, tweens and teens hanging out together, unsupervised, just talking and hanging out. It was such a great experience to let my kids feel trusted in an environment outside the home. If you are looking for a great family escape, head to www.campjellystone.com to book your summer getaway now. But hurry! These parks book up quickly! 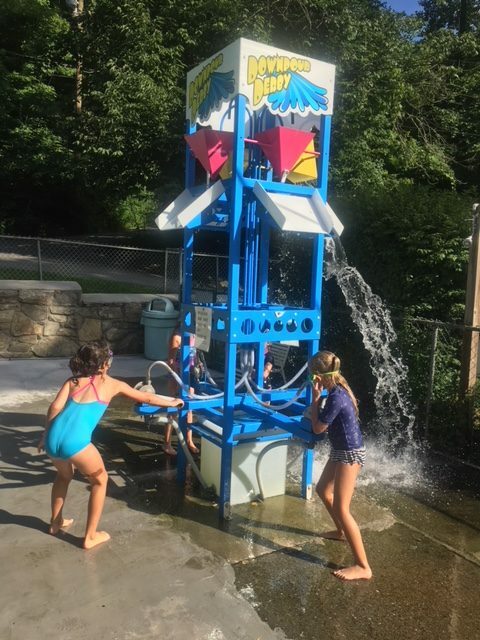 Have you ever vacationed at Jellystone Parks? 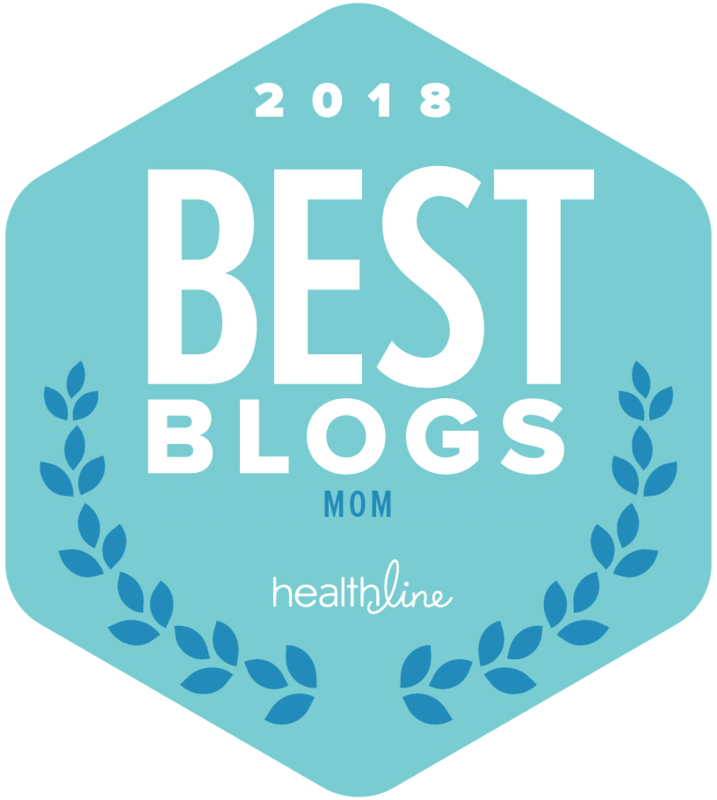 Stephanie Jarrett is a Midwesterner and total girl mom. Although she now lives in Arlington, TX, Stephanie will always call the Midwest home and is a proud Missouri Tiger. She enjoys reading, running and red wine. When she’s not chasing three little blondes all over DFW, you will find her working from her home office listening to country music. Thank you Stephanie for the wonderful post. We are so very glad you and your family had such a wonderful time! We are always so happy to help make memories for our guests. Its because of campers like you that always encourage us to strive to be the best we can be. Love all the pics, thank you for sharing them. 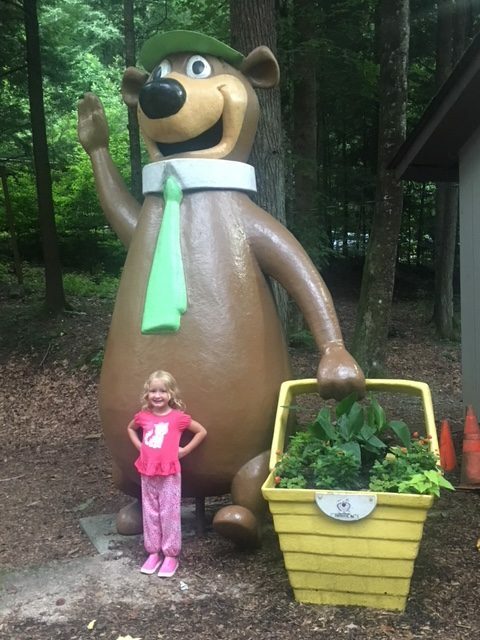 We truly hope you, your girls and your family will be able to visit us again and please pass along a big hello from Yogi in the Smokies.